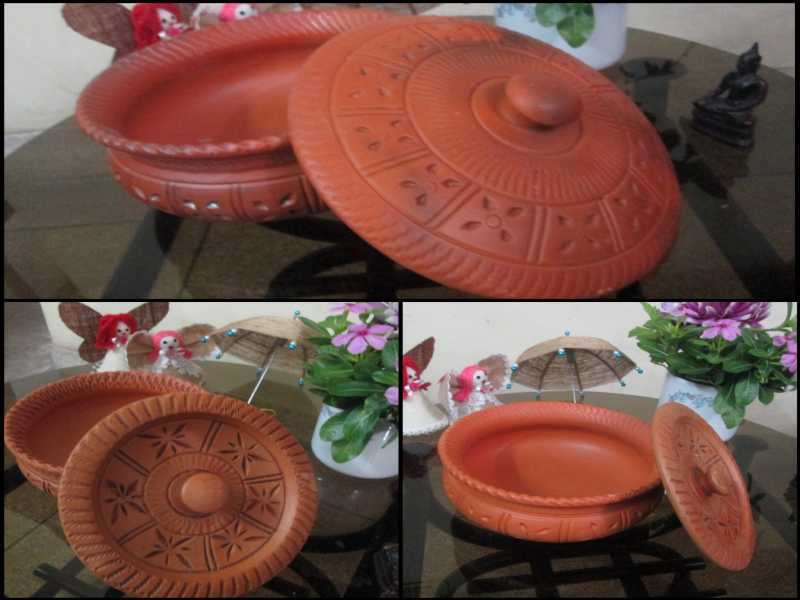 A beautiful traditional designed clay pot of 3 pieces can be used as house hold to serve food in any special occasion. Specially any bengali occasion to represent our Bangladeshi culture. For Baishakhi(Bangladeshi New Year) fesitval, this piece is an unique piece to add in your dinning to serve delicious Pohela Baisakh food.